As much as I love Lush stuff and their face masks, most of the Lush face masks smells leaves alot to be desired! So I based my choice of face mask on which smelled the nicest and what I thought might calm down my skin when it isn't feeling so great, one that would soothe and calm it down. As you all know, my favourite thing about Lush is their lack of chemicals and the fact that 100% is vegetarian and at least 80% being vegan, so you know what you're putting on your face and you don't run the risk of skin outbreak due to some weird, unseen chemical. The main ingredients in the Catastrophe Cosmetic face mask are: Blueberries: These are used to protect and soothe the skin. Full of antioxidants. Calamine powder: Used to calm the skin and deal with irritated skin, particularly great if you have any skin conditions. Chamomile Blue Oil: Included to calm and soothe the skin. Irish Moss Gel: This is included to gently soften the skin. I found the texture of this face mask to be quite dry and have a clay like formula, which I loved. It made it that much easier to take off and it's great if you have oily skin. I have normal/combination skin, and can get quite oily around my t-zone, especially my nose and chin, and the face mask has helped with that, without drying out my skin. However, it was slightly difficult to apply, as the blueberries can fall out (and into my top). I usually apply this and leave it on for 10 minutes, then wash it off with cold water and a facecloth. Catastrophe Cosmetic left my skin feeling softer, soothed, fresher and made my skin look brighter. 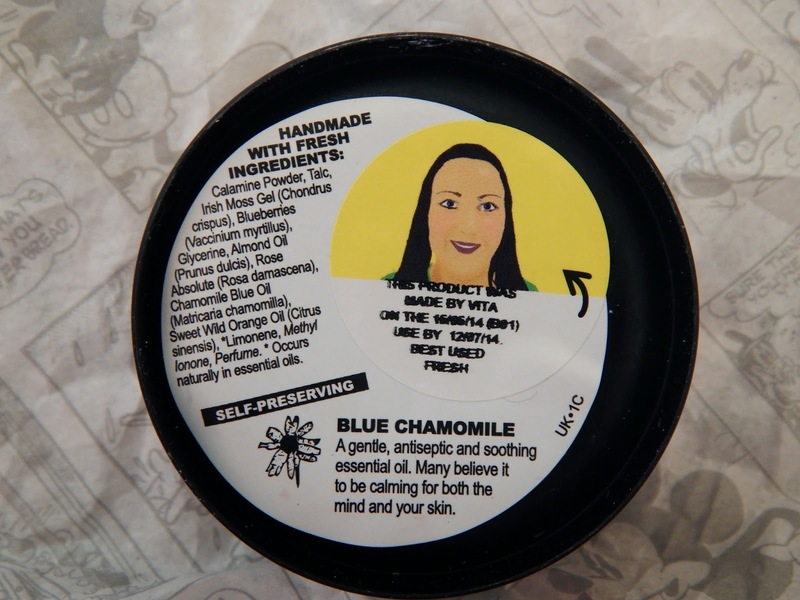 I loved the smell of this face mask, being one of the main reasons I picked this one up, I love the smell of chamomile lotion on its own, there's something nostalgic bout it, ahhh, chickenpox... 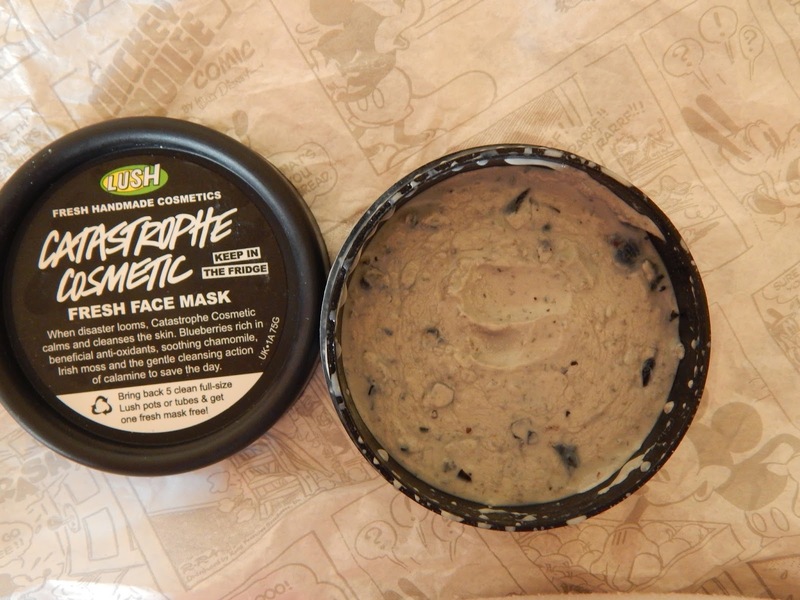 Along with Love Lettuce, this has to be one of my favourite Lush face masks that I've used! 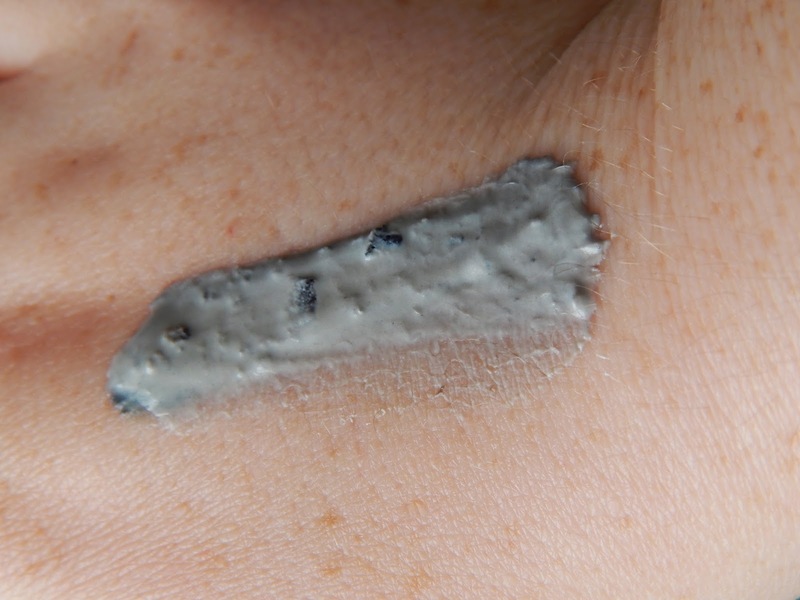 If you have sensitive, combination skin, or skin that is prone to breakouts, you might find Catastrophe Cosmetic useful. The one thing that might put you off the smaller Lush face masks tubs is the sell by dates. The small tubs have to be all used up in three weeks, with some may find difficult. You can opt for the bigger tubs that last 4 months though. 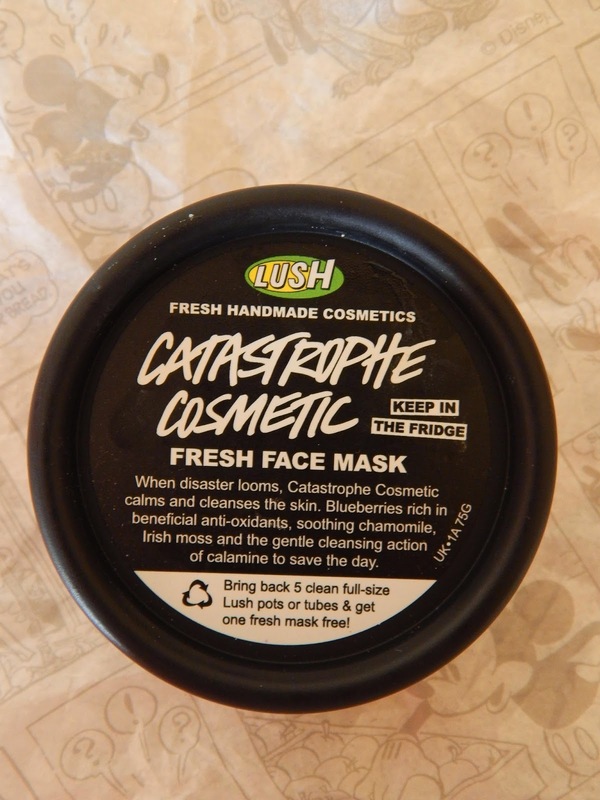 I give Catastrophe Cosmetic a well deserved 9/10, the only problems being the fallout and the sell by date. This costs €8.95.